Recently I was reading this article in the New York Times about Minecraft. 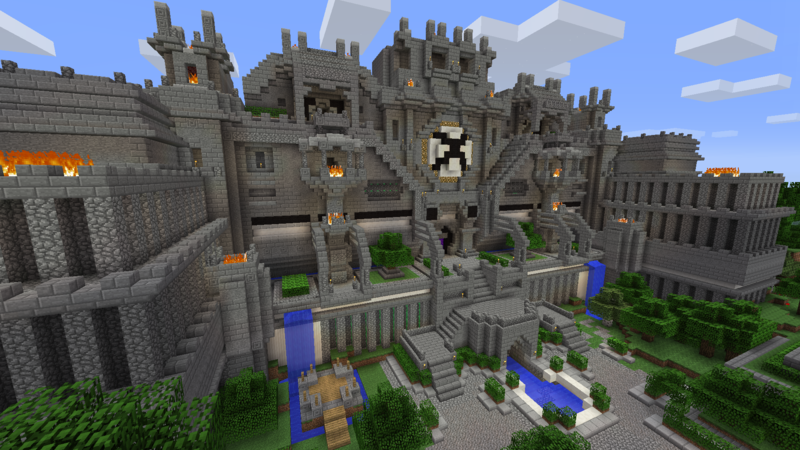 It’s a story about how Minecraft is changing the way children play, learn and create things. It does so by bringing them into a digital environment that provides the freedom to let them fully design their own world, complete with houses, vehicles and more. Players start mining and expand their environment by chopping trees, mining blocks and creating their own tools. In Minecraft, the article goes, you’re provided with a toolbox to do so, which allows you to be creative and build things. The physical equivalent of Minecraft is somewhat like Lego. Fortunately, in the Minecraft world, things look simple but can get pretty advanced as well. By using a resource called ‘redstone’, players can build their own machines to make life easier, automating things that are time-consuming or boring. The components used to do this are very similar to the components that are used to design computers – logic gates and digital signals. What’s more, just like Lego, you have to buy the blocks beforehand and people will complain if you need a newer set because the old one doesn’t have the blocks that you need. As someone working in technology during the day but who loves to play Minecraft in my free time, I couldn’t help seeing a parallel with IT infrastructure. On a daily basis, we are providing building blocks and seemingly simple tools that allow customers to build their own solutions as well as to automate things that are time-consuming or boring. What if the cloud is our Minecraft? In the cloud, the focus is on flexibility and automation. We provide you with an environment as well as a number of (basic and more advanced) tools to create whatever you like. You’re not using pickaxes or furnaces but, rather, Ansible or Chef. Sometimes – like in the Minecraft world – our customers come up with ways to use our infrastructure we didn’t even think about yet. Seemingly simple building blocks can be used to design very complex things. After all, at the end of the day the device you’re reading this on is just made of logic gates and digital signals. In Minecraft, the player doesn’t deal with physical things. (S)he doesn’t have to manipulate items or click things together – the way we used to play with Lego or other construction toys. Lego solved this issue smartly by designing Minecraft Lego sets. So whenever it makes sense, we can choose to go for the hardware. Because it fits better, or you don’t need the flexibility, or just because it’s easier to ask for a box of Legos. This is not too different from IaaS: whenever you don’t need that flexibility in your cloud infrastructure, you can go for bare metal or more traditional dedicated servers. There are some situations where that parallel goes off track. I can’t combine the things I built in my Minecraft world with the physical Lego set. It’s not yet possible to create a single build that connects those worlds. In IaaS, this is different. Customers can select bare metal, cloud and other infrastructure components, combining them whenever it makes sense to do so. And in infrastructure it often does. The challenge is for the supplier to provide those simple tools that allow this to be done easily. Another huge difference is that your business might be dependent on your cloud whereas what you do in your Minecraft world has little real-world business impact. Carelessly mining blocks in a game can be fun but business-critical infrastructure needs to be well thought-out and carefully designed. out what combination of Lego or Minecraft – or both – you need, all around the (real) world. We’ll even help you build it, unless you want to connect those blocks together yourself!